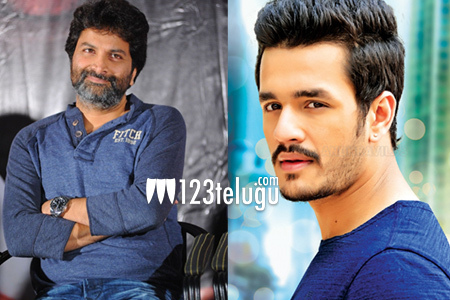 Akhil’s next with leading director? Handsome young lad Akhil Akkineni made his debut as a hero with the most eagerly awaited film, Akhil, on Diwali. Even though the film was panned by critics for its lackluster story, Akhil impressed both critics and his fans with his dances and charming screen presence. Post Akhil, the young lad has been listening to various scripts along with his father Nagarjuna. There have been several reports that Akhil’s next film will be under Sreenu Vaitla’s direction and even Krish’s name cropped up recently. However, latest buzz is that Akhil is keen on working with Trivikram Srinivas. Apparently, senior producer DVV Danayya, who reportedly paid an advance to Trivikram, is also keen on the Akhil-Trivikram combo. If the project falls into place, Akhil will have to wait until Trivikram wraps up his A..Aa with Nithiin. Keep watching this space for more updates about this project.